We believe that snowkiting for experienced and dedicated riders starts with a kite that puts you in full control that you can rely on. It must be stable, deliver tons of performance, lift like crazy and above all it must be simple to enable you to go big and have more airtime to tweak your tricks to perfection. To that end we have designed a kite that allows you to shape your own style and gives you the freedom to push your kiting to the limit. The Leopard is an exceptional combination of powerful performance and safe snow kiting. 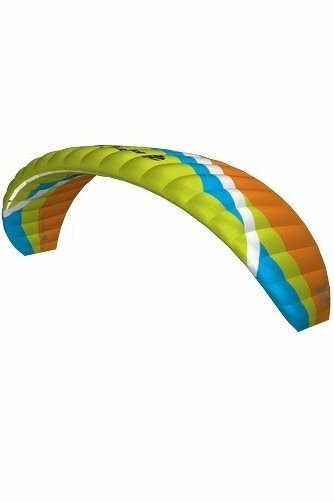 This 5th line, high aspect ratio, open cell depower kite is designed for high performance snowkiting and for experienced snowkiters that breakdown boundaries for breakfast. 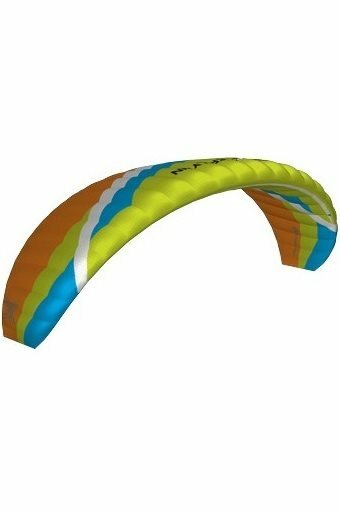 The excellent turning speed provides you with the initial boost to get going and makes it easy to sine and/or loop the kite to keep you going even in light winds. A big windrange, good low end power, high turning speed and massive lift & hangtime are few of the characteristics the Leopard brings to the table. Tested the new Peter lynn Leopard while snowkiting in 11-15 knots. I loved the new 5th line safety system. Always nice to have a total depower backup in the high mountains. I liked the Leopard as a touring kite. The open cell structure, the soft power and great stability. The only thing was the turning circle. I needed to pull on the steering lines to make a real tight turn. I know it's a 13,5m and probably the smaller Leopards would have smaller turning circles. The new Leopard is a great product if you like to play around, making tracks in the unspoiled terrain. It will pull you everywhere, safely and trustful. i choose this kite because i'm a peter lynn rider, and it's the better for snowkite. this foil is good for ride up, freestyle, and cross country!